How cute does it get? « T-Bird\’s crafty Blog! How cute does it get? 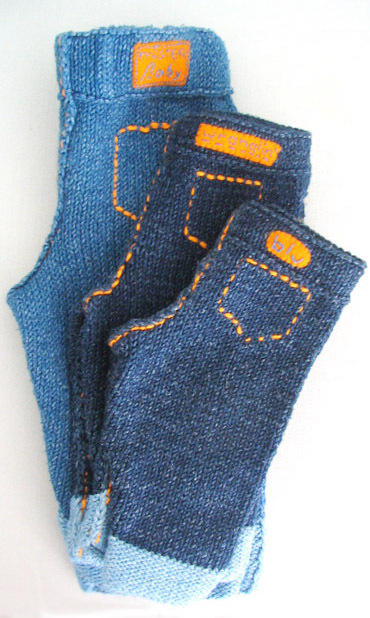 knitted “jeans” for toddlers – I *need* to do a pair of these!!! This entry was written by tbird and posted on 23 September , 2007 at 10:03 pm and filed under children's knits, Free Patterns. Bookmark the permalink. Follow any comments here with the RSS feed for this post. Post a comment or leave a trackback: Trackback URL.